Of course we always knew you awesome Aussies were a day ahead of everyone else as far as time, but it seems you are also way ahead of our very own Vogue US. 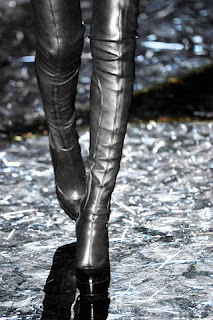 Thank you for putting these heart-stopping, sexed up, over-the-knee leather Gucci boots on your cover. Can you and Vogue UK have a sit down with Anna? We are in desperate need of some of your edge. Cheers!